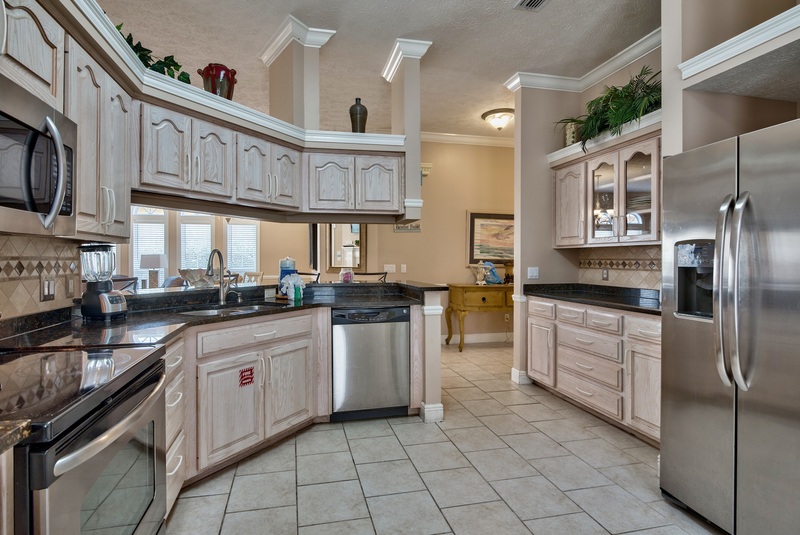 Villa Soleil is a charming home in the gated community of Destiny East. The hot tub and grill are new within the last year. 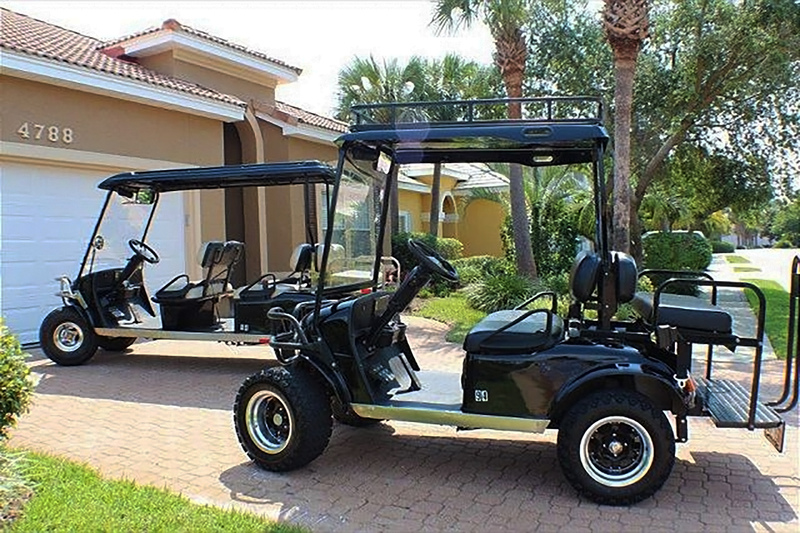 This rental comes with 2 complimentary golf carts, a 4 seater and 6 seater. The beach is less than 1/4 mile from the house. You can easily walk, bike ride, or load up the golf cart for a fun filled day at the beautiful beach. 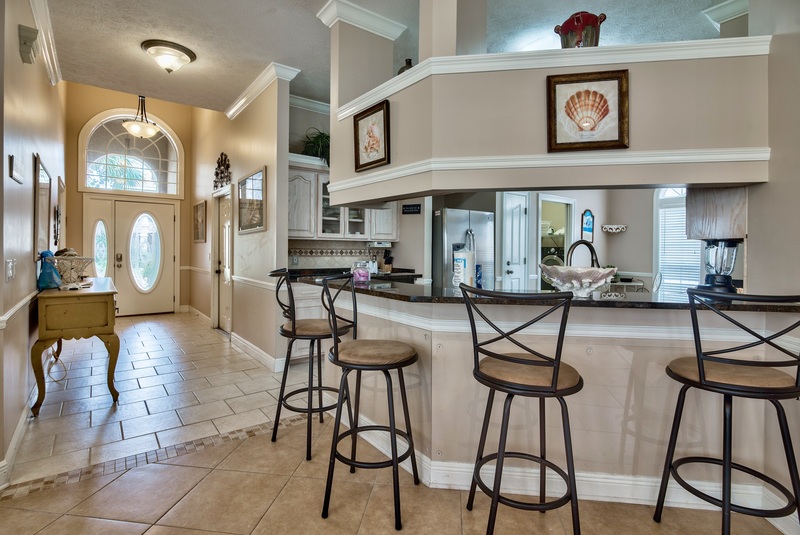 This house offers you 2000 sq ft of comfort and design to make your vacation experience as comfortable as home, and features a beautiful, large and fully equipped kitchen, complete with granite counter tops and stainless steel appliances. The dining room connects to the large living area. Three bedrooms and two bathrooms offer enough space to accommodate 14 family members and friends. 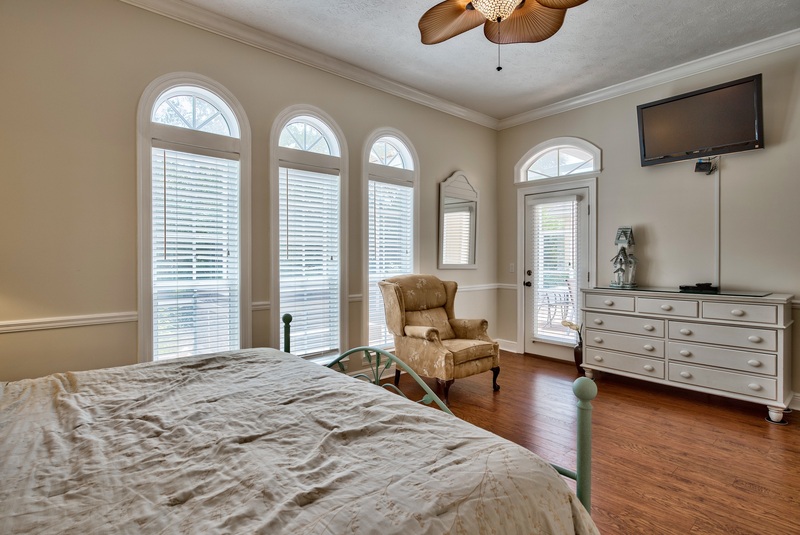 The master bedroom includes a king size bed and master bathroom. The 2nd bedroom features a queen size bed. 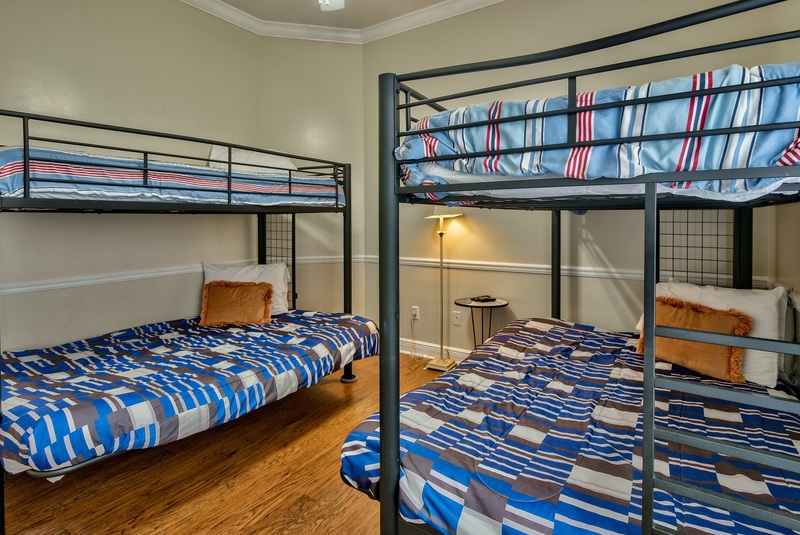 The 3rd bedroom has two twin beds and two full size beds. There are also two additional queen size sleeper sofas. 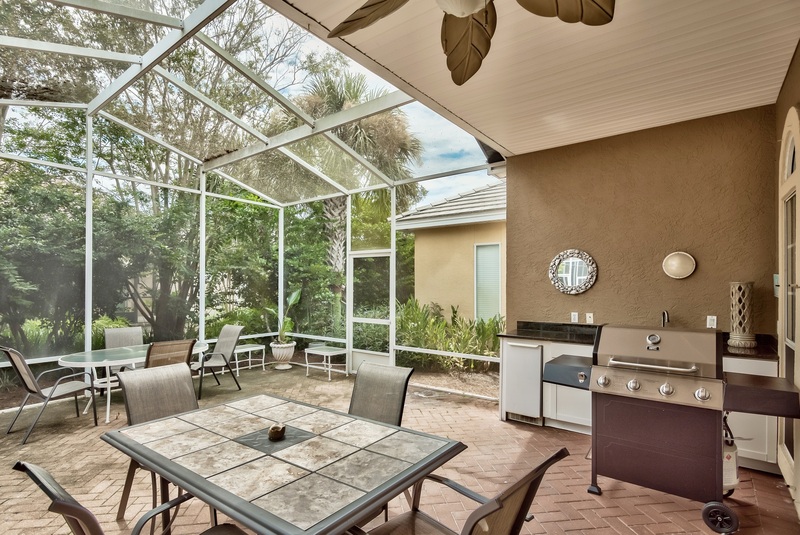 The outdoor area features a screened-in lanai, outdoor kitchen area with beautiful granite counter tops, sink, ice maker, a gas grill and new hot tub for your enjoyment. Imagine evenings in your large screened in lanai and enjoying your own private outdoor hot tub! Take the short walk or ride in the street legal golf cart to some of the world's most beautiful beaches. Engulf yourself in the natural beauty of sugar white sand beaches and emerald green and turquoise waters. 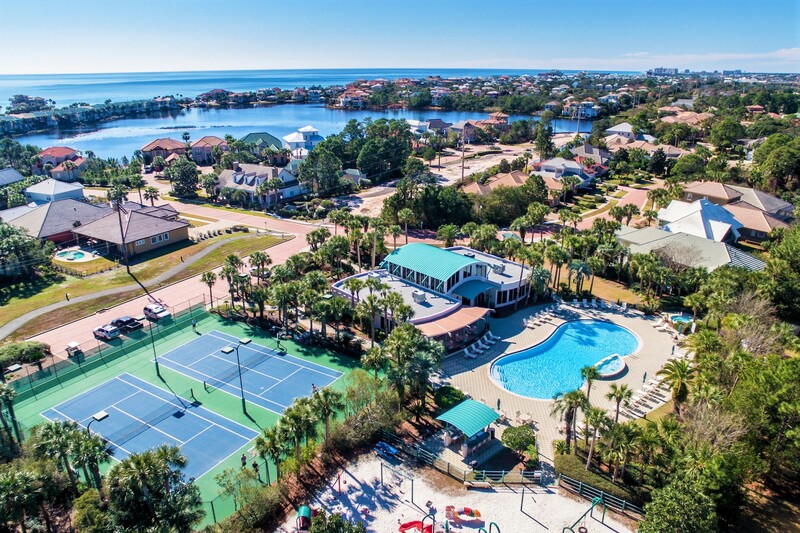 Or enjoy the wide variety of area amenities and attractions that include incredible shopping, world class restaurants, fun parks, theme parks, zoos, fantastic golf resorts, boat rentals, amazing fishing, and so much more. Visit Destin Commons and enjoy dinner, drinks, movies, shopping, etc. 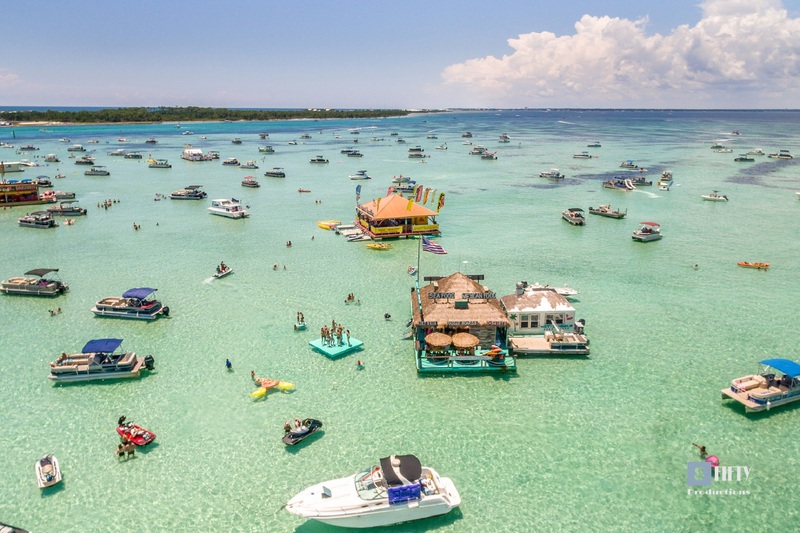 Or rent a boat to see the Gulf Coast and visit the always fun Crab Island, where you can get lunch delivered by sea doo and enjoy the music from the floating DJ. Watch for the playful dolphins that call these waters home swim alongside your boat. 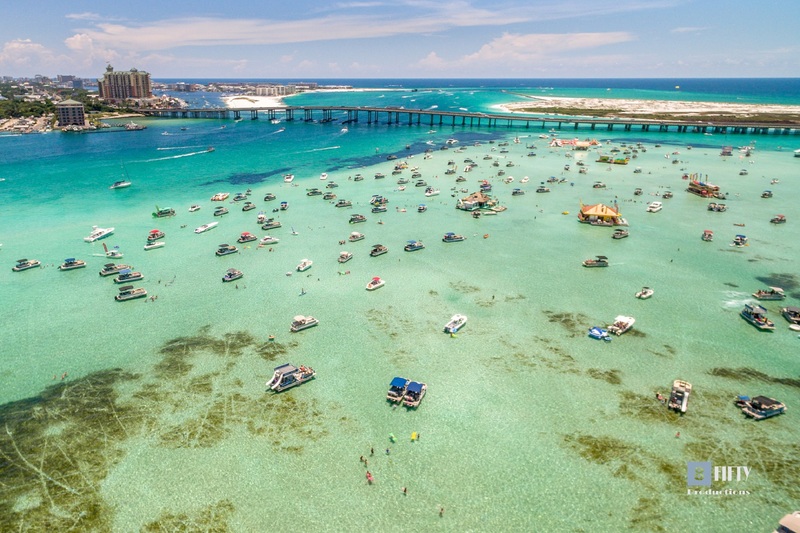 Come and enjoy all of the comforts of home but with the beautiful and interesting places Destin, Florida can offer you. Please make this home your own and have an incredible vacation. "Great location and community. Loved golf carts. App/emails very helpful for sharing information. 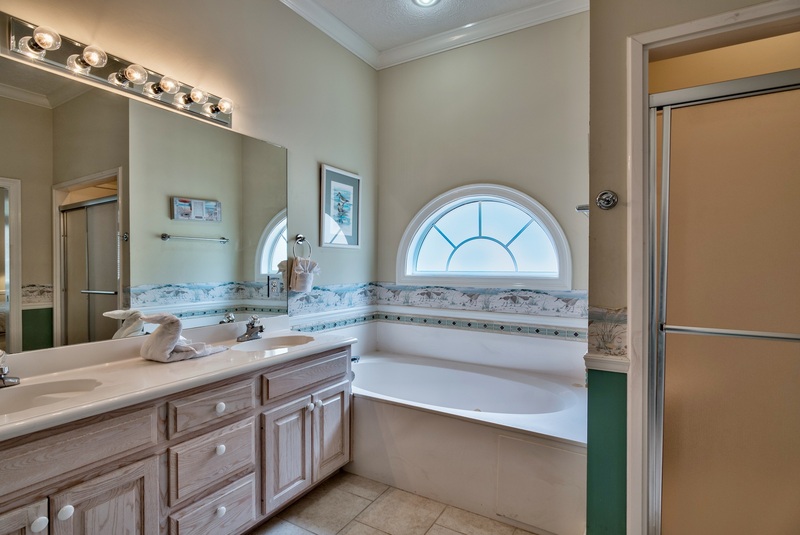 Bathrooms could use an upgrade, and slight smell from disposal and shower drains." "Thank you for your review Lou Ann! We are glad to hear you found Villa Soleil had plenty of room and an ideal location near the beach access. I will address your concerns with our maintenance department, we hope you had a wonderful and memorable holiday week with us here on the gorgeous Gulf Coast! 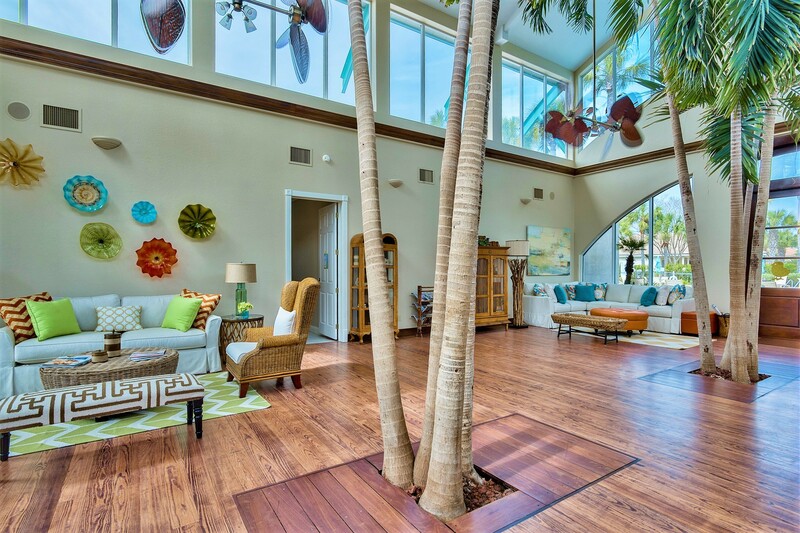 Best Regards, Destin Palms Management"
"WE HAD AN AWESOME TIME NAD THE HOUSE WAS SO CLOSE TO THE BEACH." "Thank you for your review Yury! I am ecstatic to hear you and your family had an amazing vacation here with us at Destiny East! 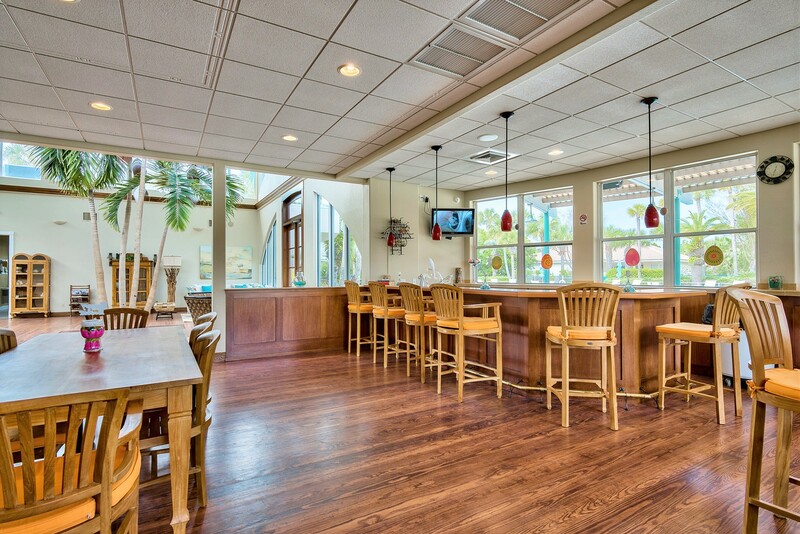 Anytime you need an escape to our sugary sands again, let us know..we hope to see you again soon! :) Best Regards, Destin Palms Management"
"It was great. 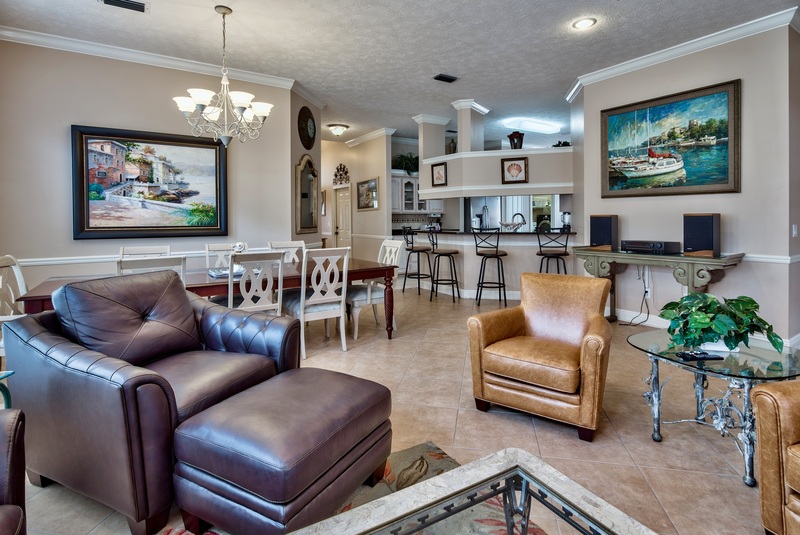 Close to the beach, close to city, beautiful part of Destin. " "Thank you for your feedback. We are happy you enjoyed your stay with us and hope to see you again. 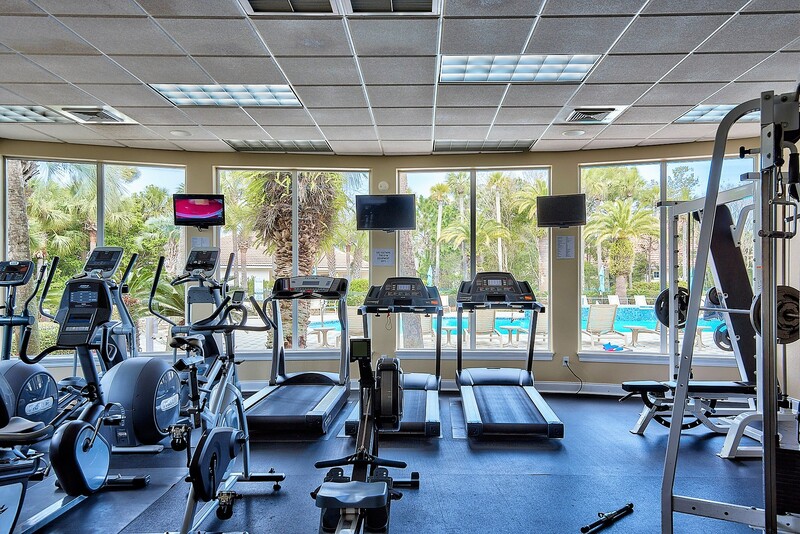 Destin Palms Management "
"Excellent!! The office was a great help in helping us settle in and also brought more tables and chairs for the patio once we checked in"
"Thanks for your feedback. We will pass your comments on to our staff. They work hard to please all our guests any way they can. Hope to see you again. 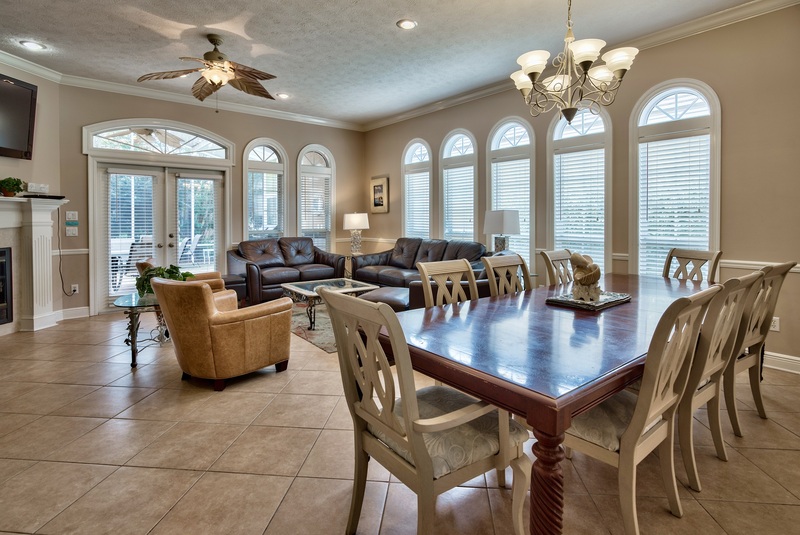 Destin Palms Management"
"My family stayed in this lovely home while in town for my sons wedding. We could not have asked for a better place. The home was spacious and decorated beautifully. It was close to everything we needed. Everybody enjoyed the hot tub after a long day. I would definetly stay here again. We had a minor problem with one of the toilets clogging but other than that it was perfect." "Thank you for your feedback. We will pass them on to our staff and look forward to seeing you again in the future. 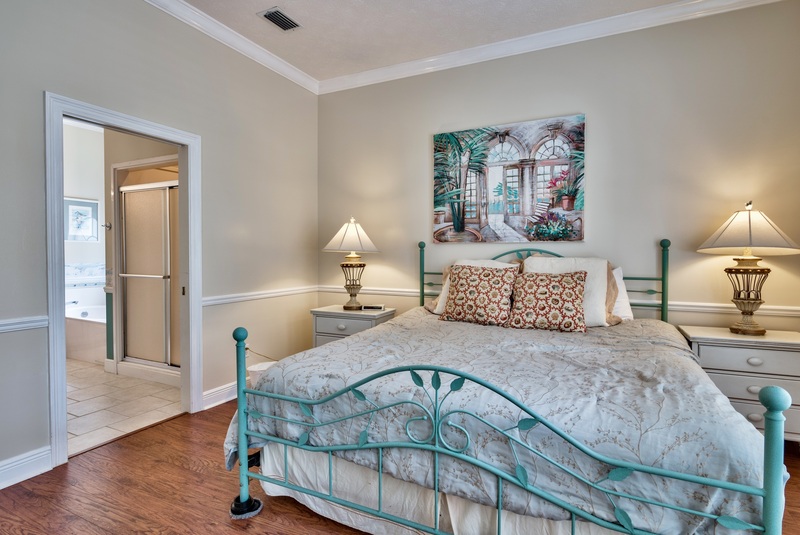 Destin Palms Management"
"Clean house and everything was there. No problems that we could see except for very slight debris on the ground and in the grill but the rest was perfect." "Please replace the can opener before someone cuts a finger off trying to open a can. I had to run over to my house to pick up my personal can opener. The house was fine which offered plenty of space for everyone. The biggest complaint from the people that slept there was that the mattresses need to be replaced. They didn't sleep in comfort. None of the amenities where used except for golf carts which allowed visitors to travel to the beach. Some general maintenance needs to be accomplished around the house. If I remember correctly, the faucet out on the patio was loose." "Thanks for the feedback and we apologize for any of inconveniences you experienced. Our maintenance dept is resolving the faucet issue and the owner is being contacted regarding the mattresses. " "When I was searching for properties to rent, I choose this one because of the perks-hot tub, proximity to community pool and the golf cart that came with it (because it was going to be very useful to transport my older mother and young niece and nephew around). We checked in on Saturday. The house was clean and nice enough. There was plenty of room for the 10 people that was staying there. My issue is that the response to a problem I had was far below my expectation. The golf cart broke on Wednesday. I texted/called on Wednesday to report it. A "diagnostic" guy came out on Wednesday and said that the golf cart needed transmission fluid and someone would be out there in an hour to fix it. No one showed up. Thursday morning I texted to ask about the golf cart. The response I got was that the golf cart needed to be picked up to be repaired and that someone would pick it up that day and deliver another on the next morning for us to use. No one picked up the golf cart that day either. I texted again on Friday to truly express my frustration and disappointment in how this situation was handled. They made an excuse that they just found out that morning (Friday) that the golf cart needed to be picked up-even though I got a text on Thursday they needed to pick it up. Once I said that and said my review would reflect my dissatisfaction, I never heard anything from them. I requested some type of compensation for my troubles but never received any. It almost is as if once they get their money, they really don't care about your stay. Would recommend this property to other especially if managed by different property management company." "Thank you for your feedback. Please know that we take feedback and suggestions very seriously. We strive to give our guests a five star experience, and we apologize that you did not feel like you received one. When we realized that the cart was inoperable, we called the repair shop to come and pick it up. We believe the biggest issue during your stay was a lack of correct communication on our part. We were told that on Thursday the repair shop was going to pick up the cart that morning, which is what we had told you. We were under the impression that is had been picked up, and they were going to diagnose the issue as fast as possible and return the cart to you. It wasn't until Friday morning that we received a call from them, stating that they had not picked up the cart on Thursday and would be picking it up on Friday. One of our guest service employees had been off on Thursday, but she is the one who received the call on Friday and contacted you. She was unaware of what had happened with the cart the day before. And it wasn't until the other guest service employee came in that she was made aware of the golf cart situation. We have checked back through the text messages that were sent to you and received from you. We didn't receive a text message asking for compensation, or reflecting your dissatisfaction. If we had received it, we would have given you a phone call ... as we feel that it's more personal to discuss issues over the phone, instead of by email or text message. We would love to speak with you about this and see what we can do to make your next visit the 5 star experience that you deserve. Please give our office a call at your convenience. - Destin Palms Managemnt "
"Our family had a wonderful time at Villa Soleil! Beach was a very short walk or use the golf cart. We had a small maintenance issue with the golf cart that was handled immediately. I would highly recommend to anyone. " "Our family had a great time throughout the whole week at villa soleil!! It was an unforgettable moment for each and everyone of us! The hot tub was great, golf carts VERY convenient! One of them needed maintenance but it was something out of their control, it got fixed right away!! The staff was wonderful, I mainly dealt with Monna she was wonderful throughout our stay. My 4yr old son wanted us to move down there lol. He had a great time especially in the pool!! I don't have enough words to explain my gratitude. Thank you! We will definitely go back again"
"Thank you so much for your kind words! 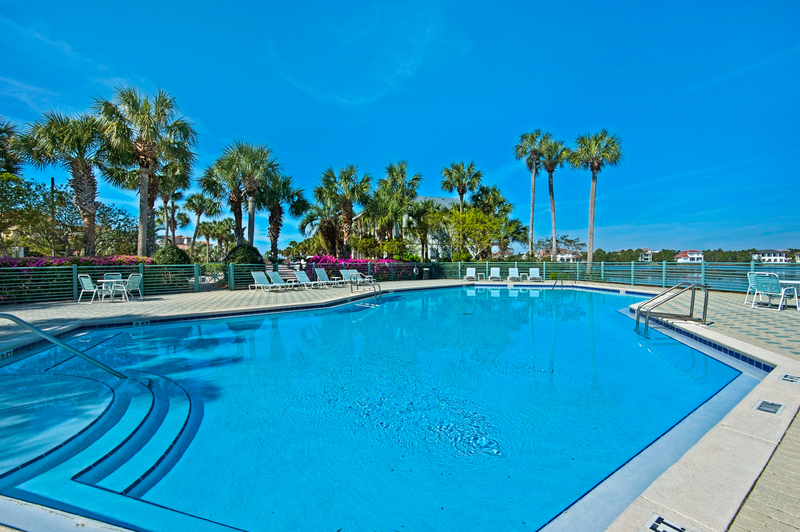 We are so very glad that you had a wonderful time, and we hope that you continue to visit us in the future :) ~ Destin Palms Management"
"The location of this home is very convenient and the large pool is outstanding. Public beach access is a five minute golf cart ride away. Several restaurants (including Bruster's ice cream) are close enough for the golf cart also. The back patio hot tub was very clean and seemed pretty new. We only interacted with management when we signed the golf cart paperwork, but the guy was very friendly. We would definitely stay here again... had a great time!!!" 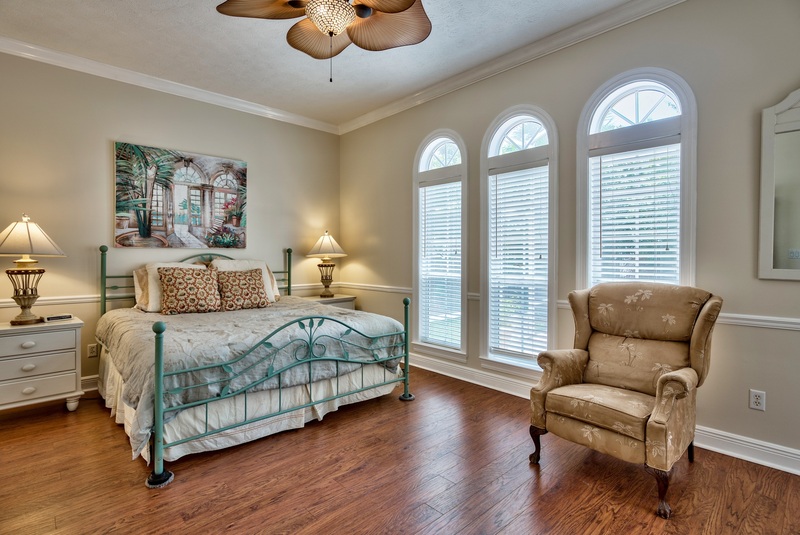 "Everything about the home was excellent. The staff in the community are a bit too stringent with the rules but the overall stay was nice. " "Thank you for taking the time to provide your input on this property. Our guests are our number one priority, and we're happy to know you enjoyed your vacation stay with us. The community rules are in place for your safety and to keep the communities exclusive. Again, thank you for your time, and we hope to have you back to stay with us in the future. 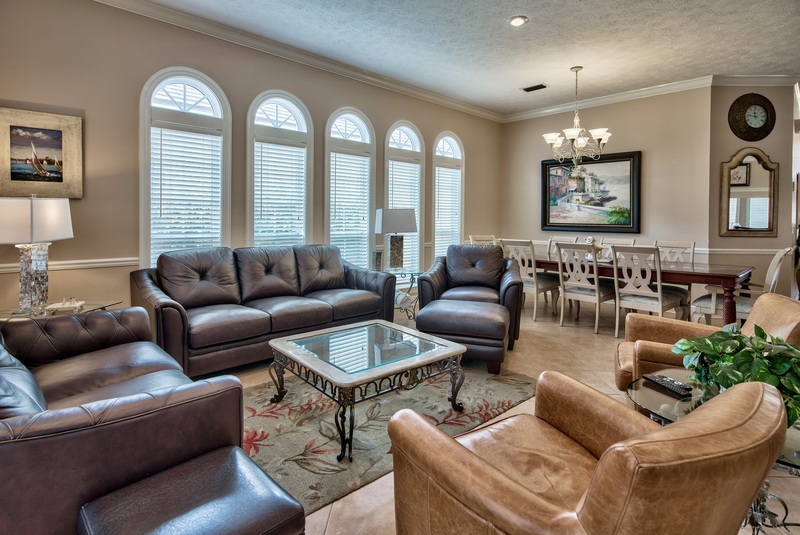 Destin Palms Management"
"The house was spacious for our family of 7! We loved the hot tub and the golf cart made trips to the beach so much easier! 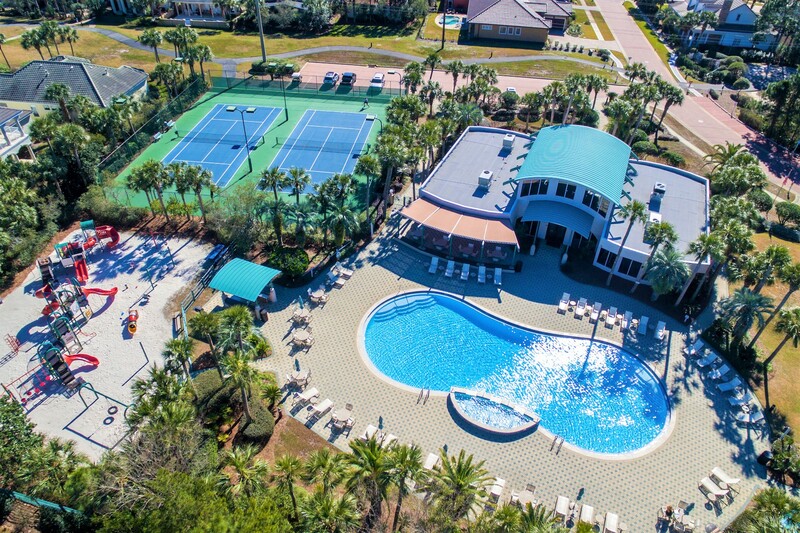 The staff was incredibly helpful and friendly- the management of the house to the facilities people at the pool/tennis courts. Neighborhood was quiet. We would stay here again!" "Thank you for your kind words! We are so glad that you enjoyed your stay, and we hope that you will come back to visit us in the future! 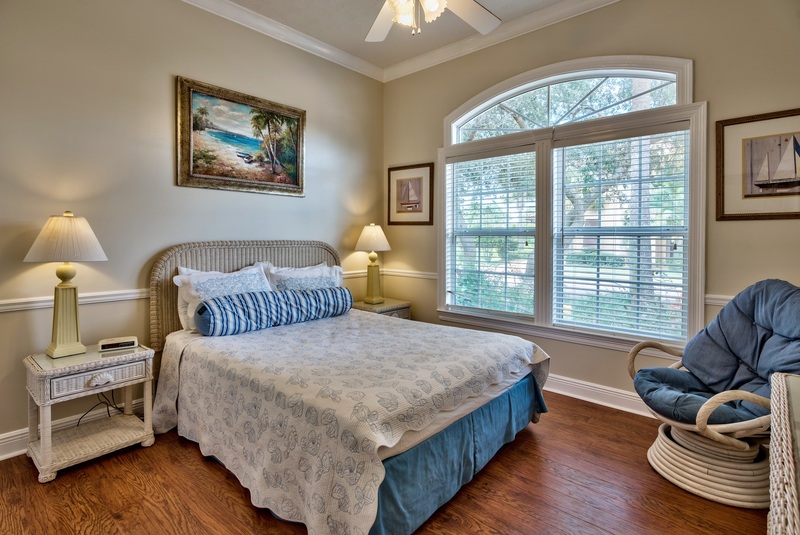 ~ Destin Palms Management"
"We have vacationed in Destin twice a year for over a decade. This rental was the best. 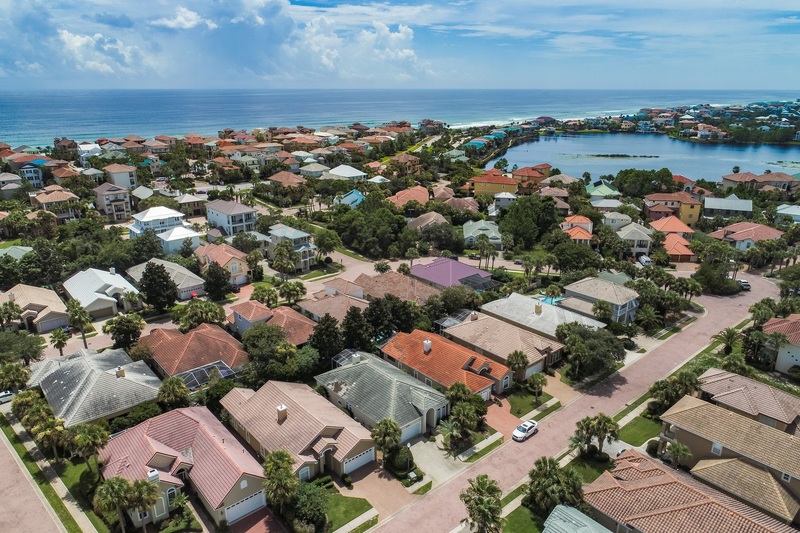 A beautiful gated-community, street legal golf cart, private hot tub, personal ice maker, unparalleled clubhouse, and the beach. If you don't have a wonderful vacation here, it's your own fault. The DestinPalms crew were friendly, knowledgable and fast. I cannot say enough about the experience. 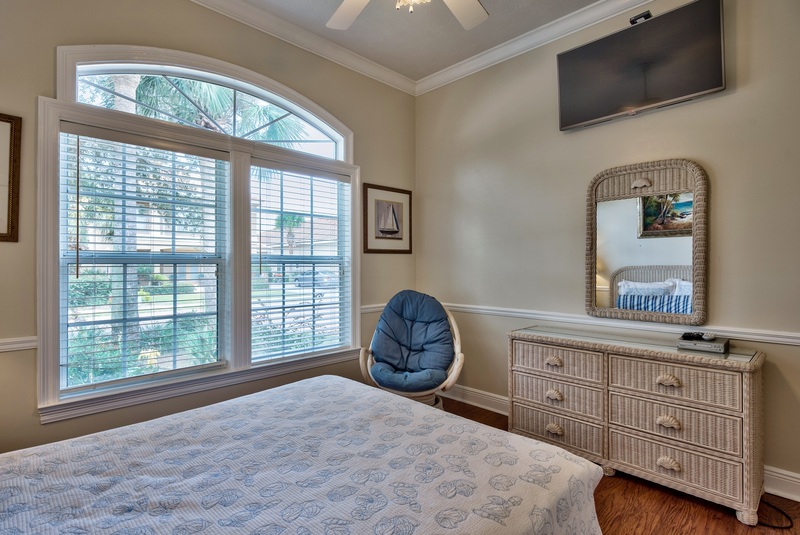 If you want a memorable vacation with the comforts of home, then book early. This rental will not sit long!" "Thank you so much for your kind words! We are thrilled that you enjoyed yourself! Please come back and see us again! 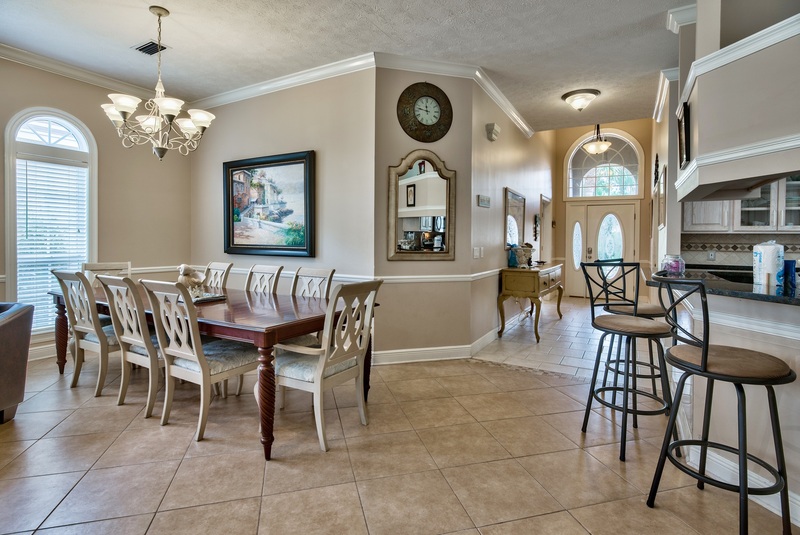 Destin Palms Management Team"
"Overall, Villa Soleil is a great rental in Destin. House was well kept, and in a great location. Didn't use the grill or hot tub, so can't speak to those. The golf cart was fantastic and convenient for heading to the beach and the pool. A few curious things - the house has very nicely upgraded appliances, yet the comforter in the master bedroom seemed to be 10+ years old. Seems like the big hitters (appliances, hot tub, etc) have been updated, but some of the smaller details could be updated to further enhance they stay. 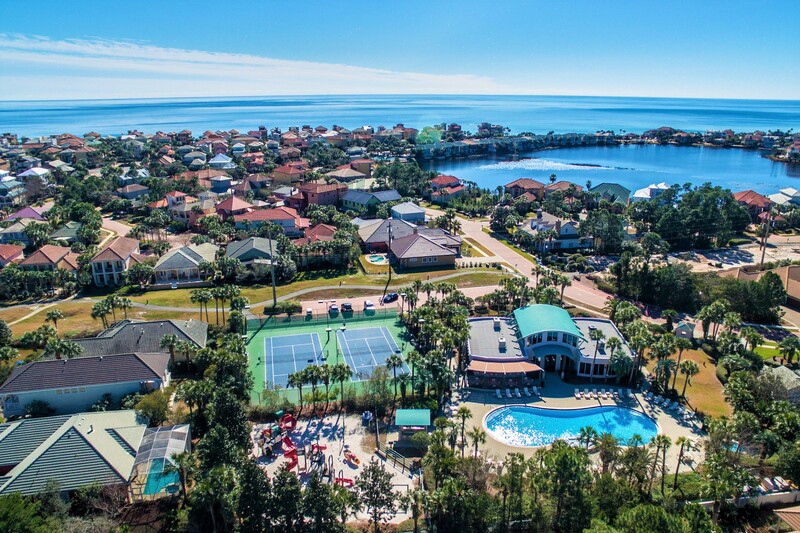 That being said, this place is a great deal and a great place to stay in Destin. Highly recommended." "Thank you for your kind words and your input. We will pass on your suggestions to the owners! Please come back and visit us again! ~ Destin Palms Management Team"
"I am highly recommending Villa Soliel as a great family home to stay in. Plenty of room for everyone. The screened in patio with hot tub is very relaxing. We all had a fabulous time. " "Thank you so much for your kind review. 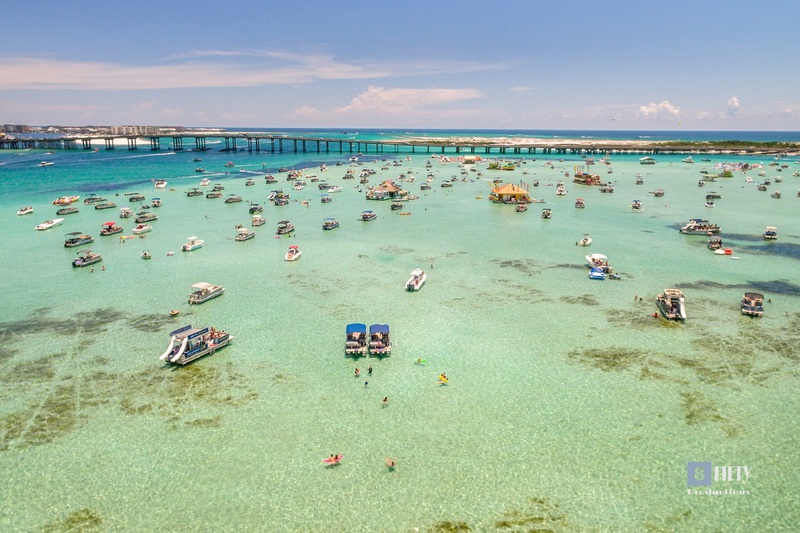 We look forward to having you back to visit Destin in the future!" "Very comfortable. Problems with the golf cart, replaced quickly. the management company is ticket happy about everything including the trash (which was not picked up - not my fault). Spa was dirty and unable to be used. Not enough towels so bring your own. Bikes in garage but not available for use unless you pay extra :-/ "
"For future guests; Unfortunately, the fines are imposed by Destiny East Homeowners Association in an effort to maintain the integrity of this gated community. Our management company doesn't have anything to do with how they are issued. The trash and parking rules are emailed to guests prior to arrival, can be found on our app, and can be found in the information packet in the home. We have a pool service that services the Spa, so we would have been happy to send them out to clean the spa if the condition had been reported to us. We ask that guests rinse off before getting in the Spa because if not, by the middle of the week, the sand builds up. We provide a base amount of bath towels depending on how many the property sleeps. 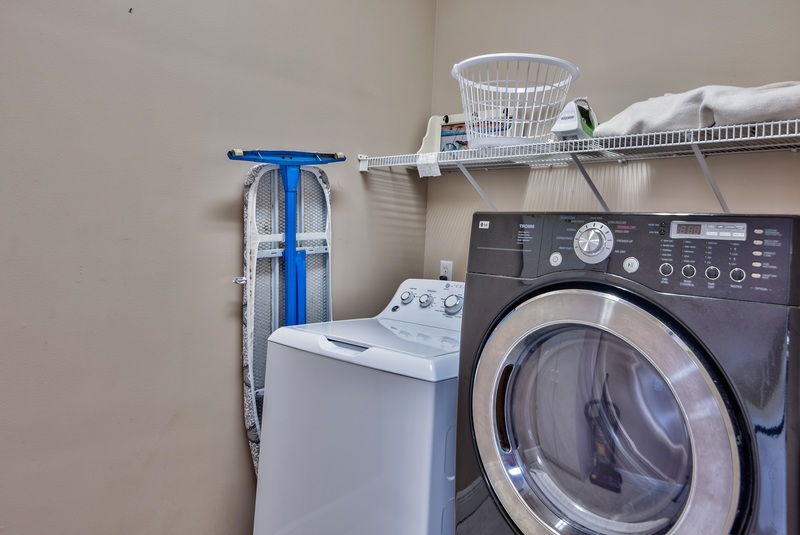 Guests will have to do wash, as these properties are individually owned and it is a different experience than a hotel where new ones are provided daily. We also ask our guests to bring their own beach towels. That being said, when a guest asks us for a few more towels, again, we are happy to bring them over. 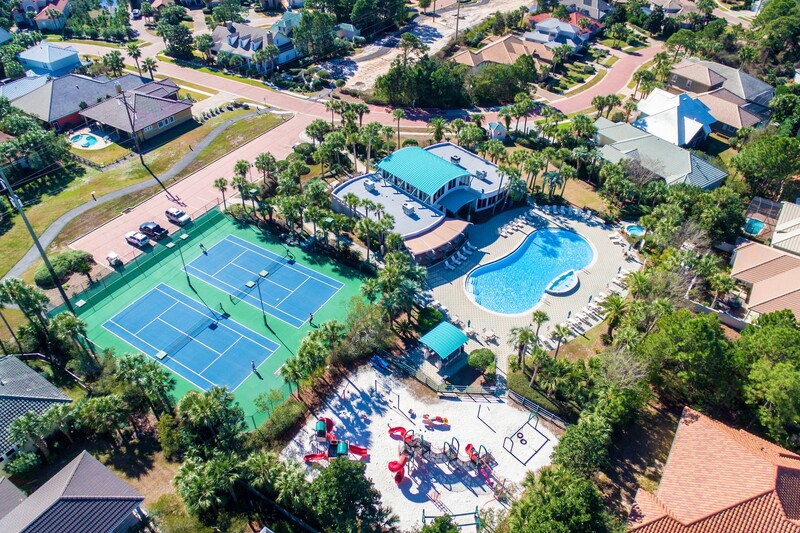 Guests are also informed prior to arrival, and many times upon inquiry, that we (Destin Palms) offers bikes available for rent (at a rate lower than the bike rental companies). We have found that guests love this option. We do our best to provide all of this information prior to arrival through a series of emails and through our app, so the guests are fully informed. Please contact us directly if you have any questions at all. 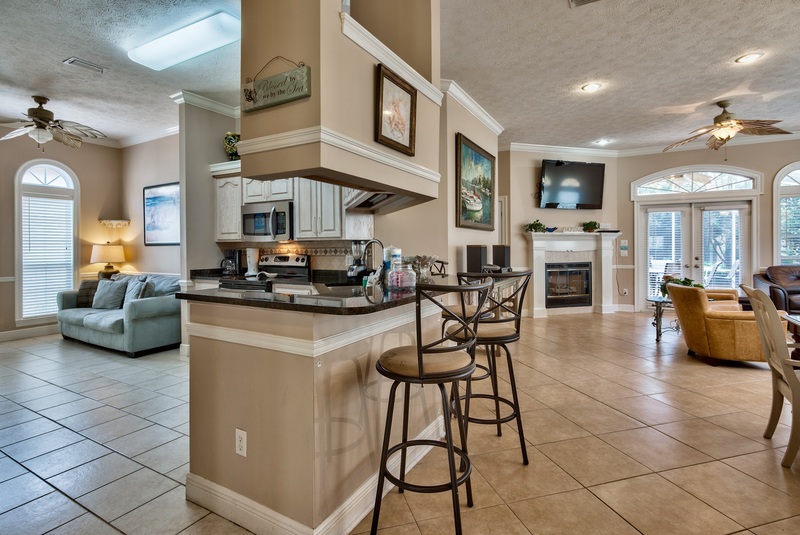 - Destin Palms Management"
"We loved this house and community! We couldn't have picked a more perfect place. Destin is so beautiful and this house added to our much needed vacation. Valory and Jessica were awesome with answering all of our questions. We will be back! " "We are SO pleased that you enjoyed your family vacation! We hope to see you back in the near future to make many more memories! Thank you, Destin Palms Management Team "
"House was amazing. Staff was incredible. Definitely want to vacation there again." 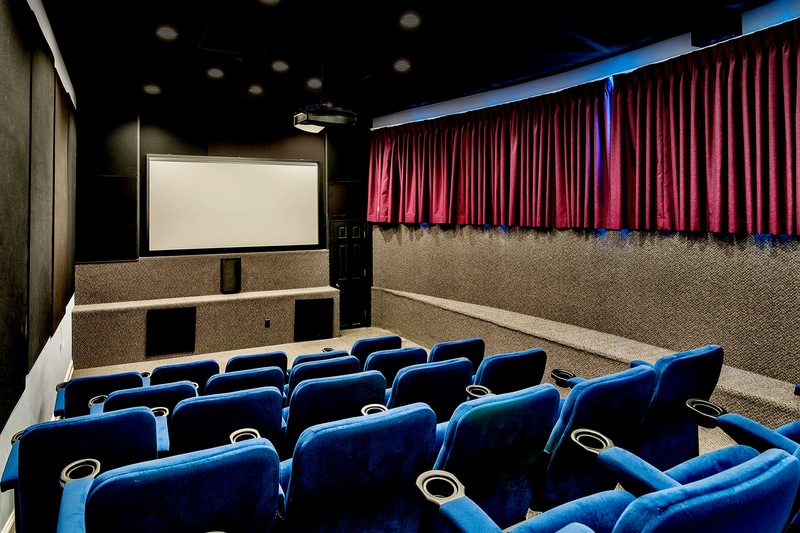 "Overall we really enjoyed the house. The pictures did not do the house justice and the layout was perfect with kids. 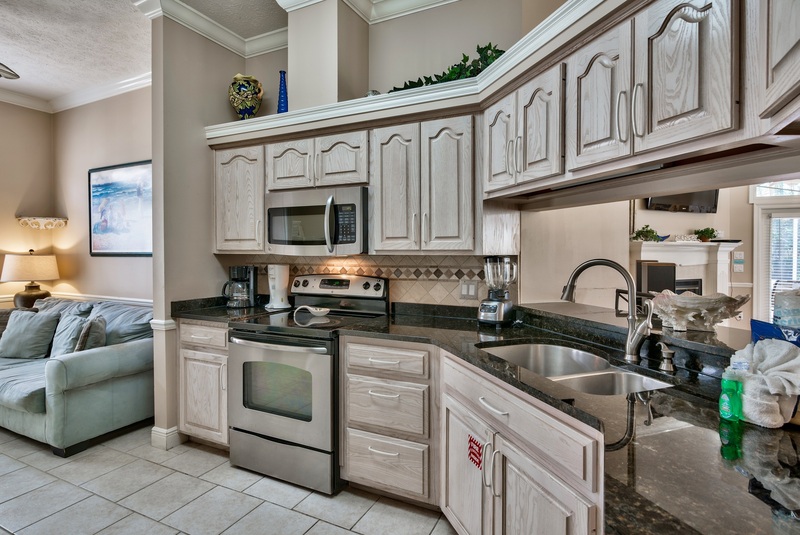 It was well updated with newer appliances, hot tub, grill, and furnishings. The only drawback was the lack of basics like towels, washcloths, soap and toilet paper, but that was nothing more than a minor inconvenience. The 6 person golf cart was a big hit however! Really enjoyed our stay, the house, and the service from Destin Palms. " "Thank you for your great review! We appreciate you taking the time to post! We set up our properties with the initial basics (2 toilet paper rolls per bath, 2 trash bags per bin, 2 soaps per bath, 2 dish tabs, a conditioning shampoo and lotion per bath, a roll of paper towels, and a 4 cup coffee starter) to hold the guests over until they get to the store. I apologize if that wasn't made clear prior to your arrival. We look forward to having you and your family back! 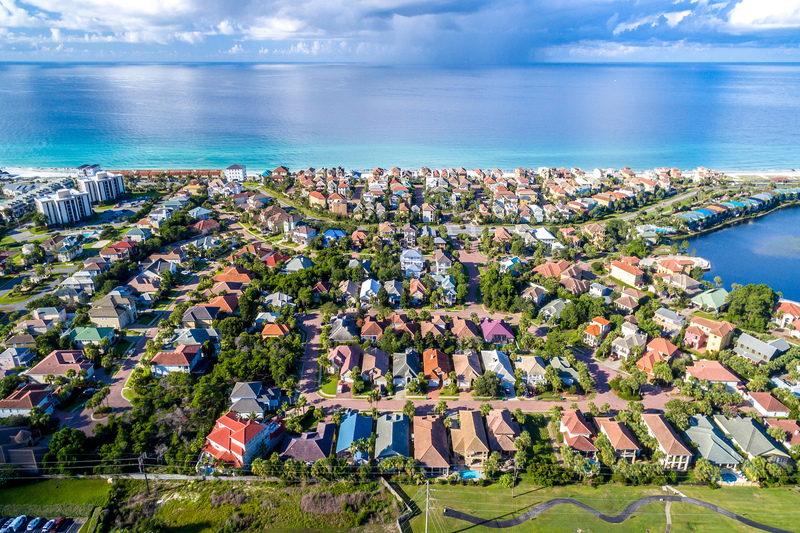 - Destin Palms Vacations"
"The neighborhood that Villa Solei is in, is amazing! The house is decent but the beds sleep terrible. A bigger bed in the 2nd bedroom & new mattresses would be great. Some of the chairs outside are weathered to the point if you sit in them you will fall through them. The washer & Dryer was nice along with 3 large TVs. Overall, it was a pleasant stay!" "Villa Soleil is an excellent and well managed property. The property description was accurate and the customer service was second to none. We had a couple of small problems which were rectified quickly and in a very professional manner. We liked the property so much we have booked it again for nine weeks the first of next year. The experience was made possible by the very professional and friendly manner of Valory, Jessica, Glen,Paul and last but not least AJ. From Destin Palms Vacations, well done and keep up the good work"
"Thank you so much for your review! We enjoyed having you and your wife as guests and look forward to next year! Take Care. 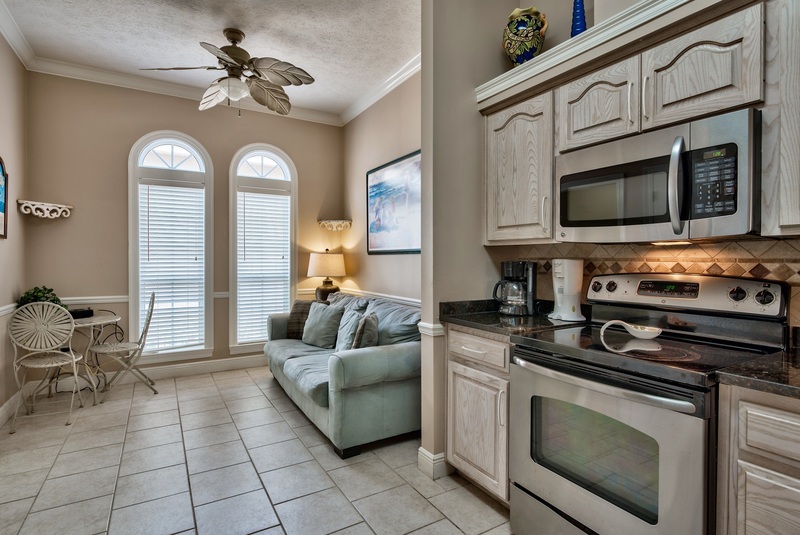 - The Destin Palms team"
"Our family stayed 3 nights and really enjoyed the spacious house and the surrounding areas. It was a quick hop to the beach. The hot tub was a nice bonus. The house had everything we needed. Thanks for a great getaway!" "The customer service was AMAZING!!! we were traveling with two small kids and we were able to get in before check in that was very nice! There were a few bad things... we couldn't fine remotes to the tv in the living room we did end up finding it in the couch cushions. The tv in the bunk room had a terrible picture. The tv in the other room had no remote. Also we could not get the hot tub to work when we were there it would keep shut in off. That was a huge bummer we were very excited about that part... the grill was also very dirty. I did email them and they sent someone out right away so we got a new remote for the one tv and they tried to help the grill the best they could and sent a repair man for the hot tub. Sadly for us the hot tub couldn't really be fixed. They did credit us some money back!!!! Good news is the owners are getting a new grill and hot tub so the next people to stay should be set!!! We LOVED the golf carts soooo handy! The beach was beautiful! They had beach chairs there for you to use and two umbrellas one of them is broke though lol. I will definitely be back! The customer service is what made it all worth it! Thanks guys for a great trip I miss the beach already!! " "The homes of Destiny East provide the "at home" experience - lots of space and privacy. Access to beach is at a public park, so peak times are crowded and parking can be difficult. If you want private beach access - check out Destiny By The Sea. Our unit came with a golf cart, which is very helpful for those trips to the beach or the clubhouse. The home had plenty of sleeping quarters and lots of towels, but be sure to bring some toilet paper and trash bags - they provided one of each for an entire week's stay (not enough!) "
"Thank you for your review. We were happy to have you back as repeat guests. I apologize if there was any confusion about the toilet paper and bags. 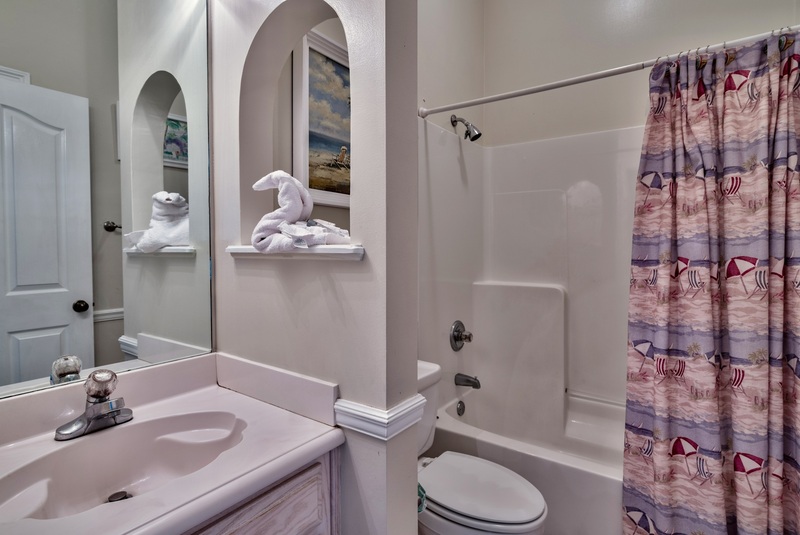 For future guests, we provide the initial set up of 2 toilet papers per bath, 2 soaps per bath, 1 shampoo and 1 lotion per bath, 2 trash bags inside and 2 large black trash bags for the outside bins, a roll of paper towel, 2 dish detergent tabs, and a 4 cup coffee starter for all the properties we manage. Thanks, again, and we look forward to seeing you next year!" "We loved the golf cart and the master bath. The only downside to the property was that we had to go the store to buy paper goods, trash bags, spices, etc. In a home that we had rented previously, there was a closet of "goodies" and we just had to replace the item if we used it all. " "We are so glad you enjoyed your stay. I am sorry if there was a misunderstanding. We supply an initial set up of two kitchen trash bags, two contractor bags for the garage can, two toilet paper rolls per bath, two dishwashing tabs, a roll of paper towel, a coffee starter kit, 2 soaps per bath, and 2 shampoos and lotions per bath. I would be more than happy to speak with you about your feedback. We welcome all suggestions to make our guests' experience everything they hope for. - Destin Palms Management team." "Thank you for your review, Ken. I can appreciate your concern with the parking ticket, and it is something we will continue to address. Please come again, you were wonderful guests!" 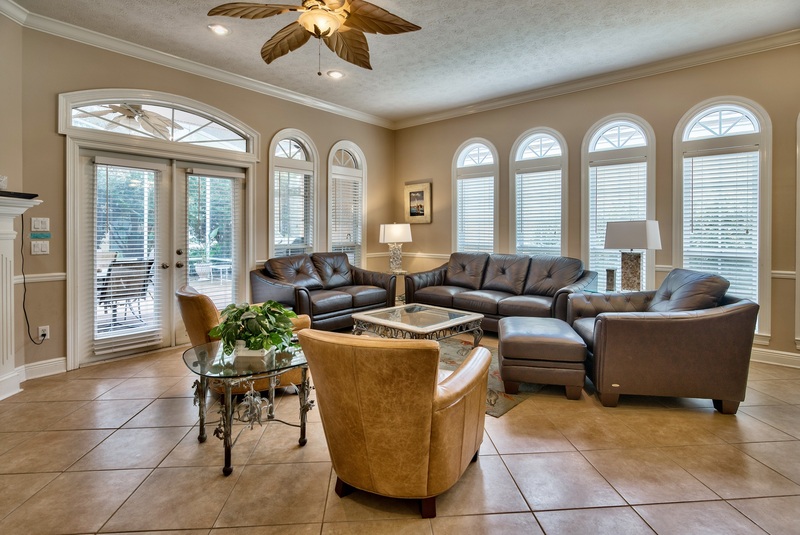 "We really enjoyed the location of the house. The gated community gave us a real sense of safety and security. A few small issues with the house we had were; Floors throughout the house when we arrived were very dirty. After walking through with no shoes on, our feet were filthy. We used what cleaning products we could fine to sweep and clean the floors. The hot tub was not in good condition. We opened it up and the water was not clean and the bottom was covered in sand. We decided not to use it during our stay. Cleaning supplies could not be found. Staying there for a week, we needed some basic cleaning items to keep the house looking good. We purchased some things to use for the week. But those small issues did not do anything to our overall expierence, we enjoyed the stay and are looking forward to the next visit in October. The golf cart was a great addition to the property. Using that to get around was so much easier then using our large suv. We had a GREAT TIME and will return. " "Thank you so much for your feedback and review. You were wonderful guests. We definitely do not take your comments lightly. We are making changes in the cleaning area. Sometimes cleaners get rushed on a turn (guest check out/in same day) but that does not excuse the job they did on the floors. Next time you stay with us, if there is ever an issue, such as the floors, please call us right away. We would have sent a cleaning time back the hot tub, as well. We look forward to your return. :) Jessica"
"great place to stay, except for having to reset the hot tub every time to use it eveything else was great."